What 'The Eleven' Has to Do With Interest Rates?What 'The Eleven' Has to Do With Interest Rates? 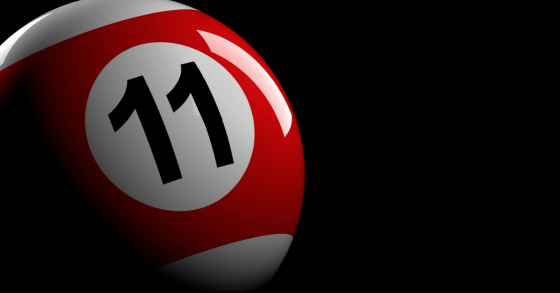 What ‘The Eleven’ Has to Do With Interest Rates? The Grateful Dead have a song called The Eleven. In many ways the lyrics are unintelligible. It was written during their psychedelic phase so the lack of comprehension makes some sense as their senses were non-sensical. Here’s how the song starts. They’re crawling to the sun. I can’t tell you what the lyrics mean but if you listen to the song you’ll notice that the time signature is very unusual and the music and rhythm are very memorable (if that genre is your cup of tea). The one stanza that is somewhat understandable is actually quite relevant in terms of what is happening with interest rates. Before citing those lyrics let’s first turn to the following chart which shows the 10-year Treasury yield over the last 10 years. One can see that 10-year yields are at seven-year highs. Even more interesting is the next chart which shows how yields have moved since the beginning of 2018. The peak closing yield was 3.11% on May 17th. After yields dropped to around 2.80%, they went up pretty rapidly to a closing yield of 3.10% on September 25th. 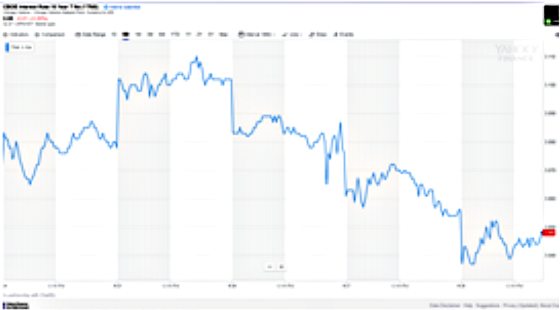 The following chart is the five-day activity of the 10-year Treasury note yield and you can see that as it got very close to 3.11% it came down pretty aggressively. So 3.11% is a significant resistance point that I’m watching carefully to see if it will be breached. Hence the name of this post being called The Eleven. Despite higher yields, that has now backed off a bit, the yield curve continues to flatten. Here is the 10 minus 5 yield differential. It’s around 11 basis points and seems headed to an inevitable inversion. Here is the 10 minus 2 which is following a similar trajectory. Despite tax cuts, record corporate profits, years of monetary stimulus, late cycle fiscal stimulus, high consumer confidence, and nine years of economic growth, we’re still having a tough time getting the 10-year Treasury yield above 3%. The market does not believe that long-term inflation and trend growth will be high and that the current economic growth rate is not sustainable. Just look at the Fed’s economic projections to see how they forecast slowing growth in 2019 and beyond. 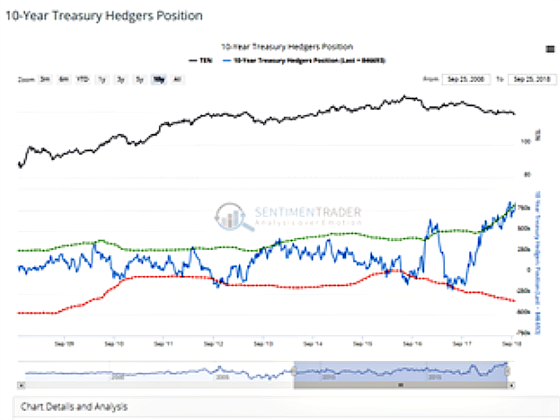 And I return yet again to one of my favorite charts that shows the record long positions hedgers have in 10-year Treasury futures. 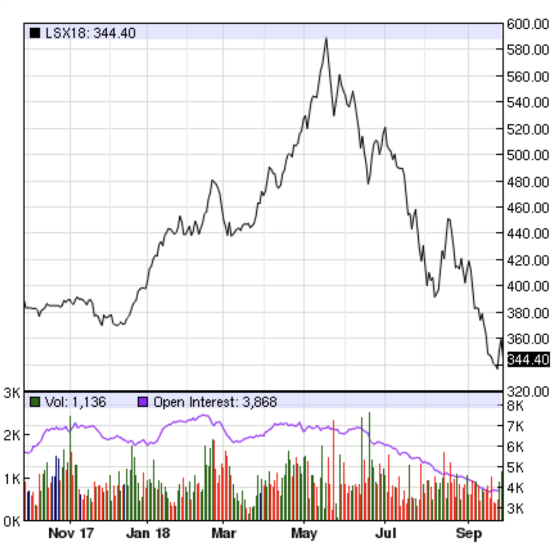 This means that speculators have a record short position which means they are betting on rates continuing to go higher. We shall see who wins this battle. Historically it’s been the hedgers when positioning is at an extreme like it is now and this would lead to lower rates. Here are a couple of interesting charts that speak to some weakness below the surface and future risks if credit tightens. The first is lumber prices. 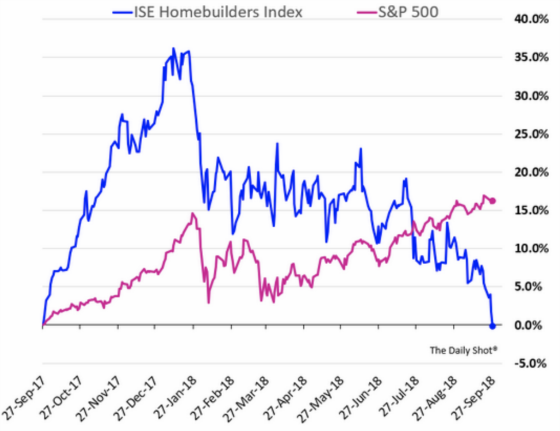 After hitting record highs, they have come cratering down which is not a good signal for the housing market and the spillover effects to the economy. It looks like new home sales might be rolling over without coming close to previous typical cycle peaks of about 800,000 to 900,000 (ignoring the bubble peak of 2005). Higher prices and mortgage rates are having an impact on housing demand. 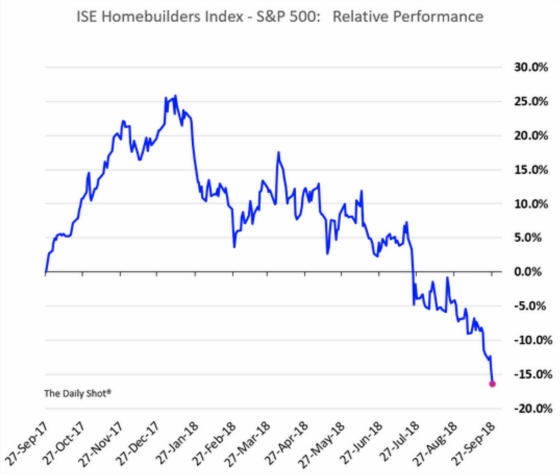 Homebuilders have gone from massive outperformance in the stock market to significant underperformance in about nine months. 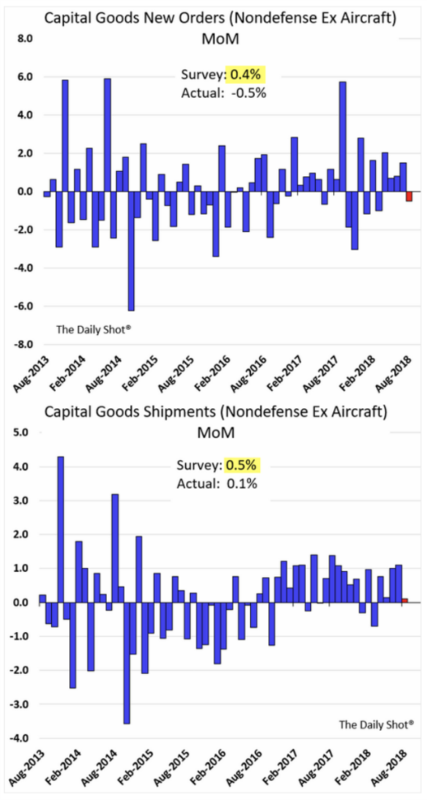 Capital goods orders have softened and came in much lower than projected. The next couple of charts speak to the erosion in credit quality. The first shows originations of corporate bonds by rating. 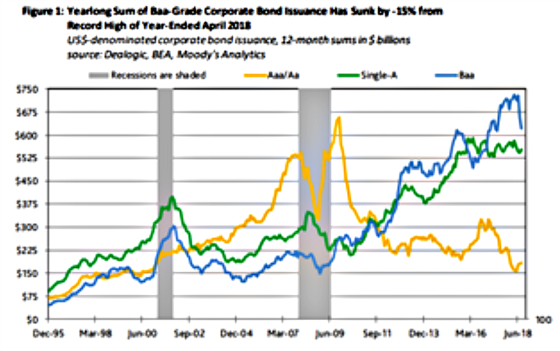 One can see that lower rated bonds have dominated the issuance in this recovery while highly rated bond issuance has dropped quite a bit since the recession. Creditor protection has dropped quite a bit as well as time has gone by during this recovery. 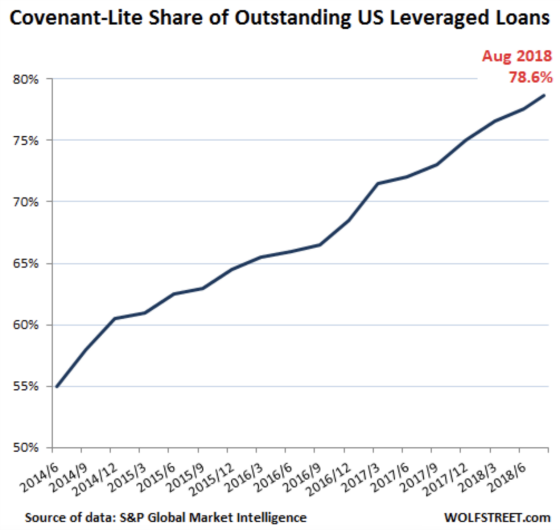 If the credit cycle turns and/or the economy weakens and lenders become more conservative then there is some risk that distress could materialize as loans come due in a less friendly credit environment or borrowers have trouble servicing their loans due to economic weakness putting pressure on their revenues. This, in turn, could result in lower interest rates as the economic slowdown would be compounded by these credit problems. So there you have it. We’ll see if the eleven holds. The next couple of months will be very interesting with the elections approaching and the Fed seemingly on a path to keep hiking until something breaks. The yield curve is virtually certain to invert which typically foreshadows a recession down the road. The Fed believes this time is different which leads me to believe that it won’t be different.